I hope you all had a wonderful holiday season and your 2015 has started off well. 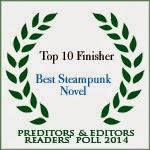 I wanted to share some of the wonderful things that happened for my steampunk series at the beginning of the year. 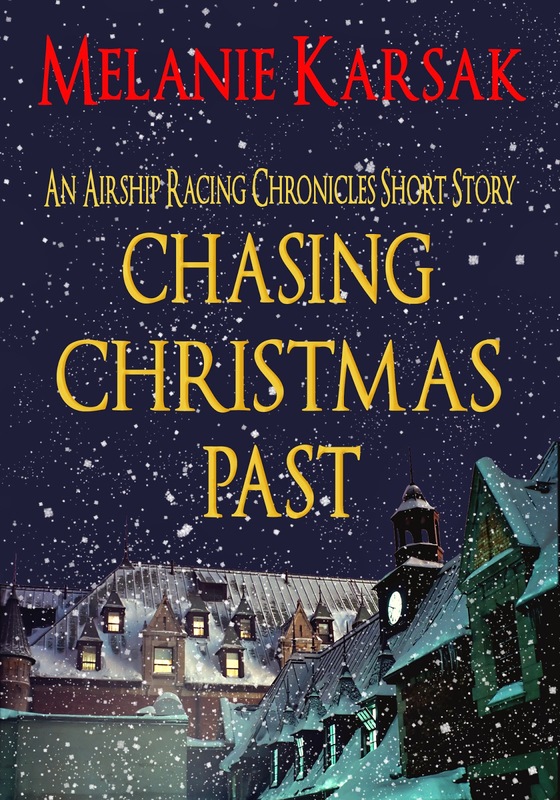 Chasing the Green Fairy, the second novel in my Airship Racing Chronicles Series, won 6th place in Best Steampunk Book of 2014 and Chasing Christmas Past, my Airship Racing Chronicles holiday short story, won 2nd place for Best Steampunk Short Story in the Preditor's and Editor's Poll! I was really honored to see my books ranked so highly by readers. I appreciate every vote. Writing about Lily is a labor of love. I am so glad you are enjoying her story. What's next for Lily? 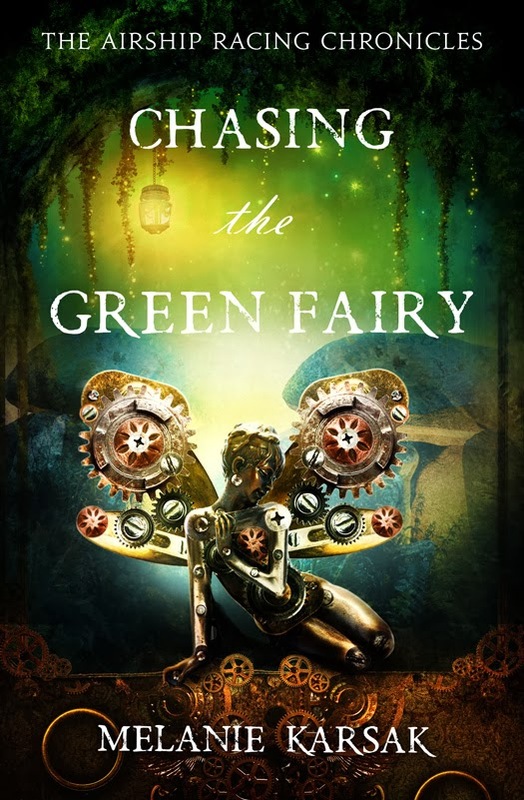 Here is my WIP line-up: Ink (my mermaid novella), The Shadow Aspect (Book II of my dark fantasy The Harvesting Series), then Chasing the Fog. I anticipate that I'll be done with Fog in summer 2015 which means it will be a fall publication. I already have the cover for this amazing book. Can't wait to share it with you. After a lot of debate, it looks like Fog will be the last novel in Lily's (direct) story arch . . . BUT I am cooking up a little something that MIGHT be a SERIAL and MIGHT be tentatively titled THE STARGAZER LEGACY. That looks like a 2016 project. I have names, faces, and a plot. Now all I need is time. I'm pretty sure you'll be pleased with that project. Be sure to stay tuned here and on my newsletter for details about forthcoming projects. Today is a special day for another reason. 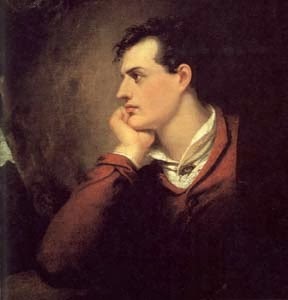 January 22nd is our favorite book boyfriend's birthday. Happy Birthday, George! Still need the series? 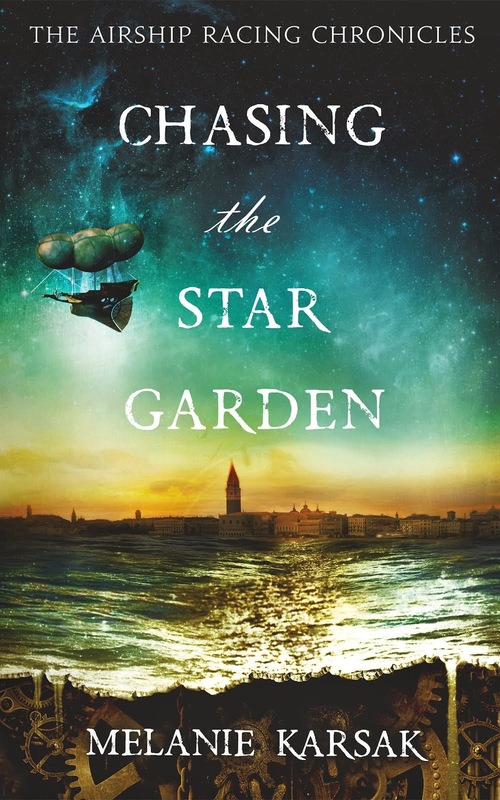 Book I, Chasing the Star Garden, is currently available for 99 cents!